A network of the world’s first tobacco industry monitoring centres (observatories) were on campus last week for an intensive training course. Representatives from world tobacco industry monitoring centres with members of our Tobacco Control Research Group at the training event that took place on campus. The course was organised by Dr Karen Evans-Reeves and the Tobacco Control Research Group (TCRG) within our Department for Health. These observatories, recently-established by the Secretariat to the Framework Convention on Tobacco Control (FCTC) - the world’s first public health treaty - are based on a successful model developed by the Tobacco Control Research Group (TCRG). Drawing on the successes and lessons learnt from the successful TobaccoTactics website, run by the TCRG, representatives from Sri Lanka, Thailand, Brazil, South Africa and Lebanon – who are each setting up similar websites to disseminate information on the tobacco industry’s activities in their countries – heard from the group on developing effective research, analysis and communication skills. 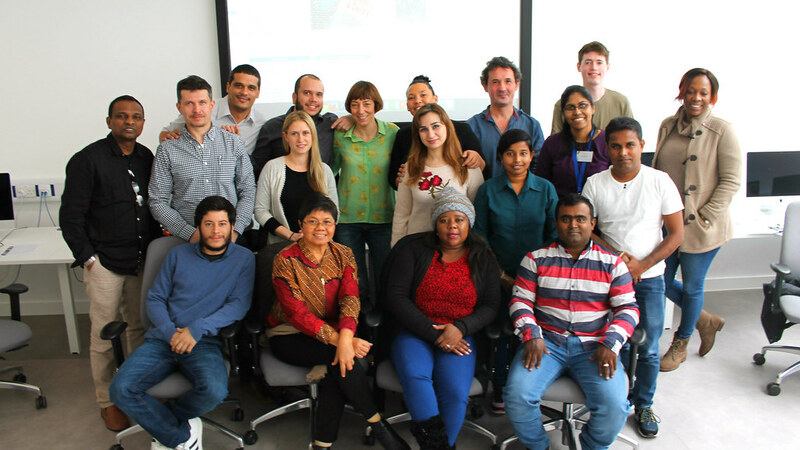 The week-long course, which took place in The Edge, was focused on research and monitoring of tobacco industry influence in low and middle income countries. It was designed to help with the implementation of Article 5.3 of the WHO Framework Convention on Tobacco Control – a central pillar to the convention that requires that public policy be shielded from the influence of the tobacco industry and its allies. New FCTC observatories are designed to act as watchtowers for the public health movement, helping to define the tobacco-control landscape in greater detail and shine a light on the activities and behaviours of the tobacco industry across continents. Andrii Skipalskyi, in attendance from the WHO Framework Convention on Tobacco Control, added: “Throughout the course of the week, the Tobacco Control Research Group at Bath helped to translate their in-depth knowledge of the industry and the ways it has tried to undermine public health policies with focused and practical training sessions. “This has helped colleagues from around the world, hoping to set up similar observatories to TobaccoTactics, to develop a deeper understanding about the industry and its activities. It also helped to refine their skills in monitoring, research, media messaging and evidence-based advocacy. Mahesh Rajasuriya attending from Sri Lanka, said: "This was a week of learning like no other. We learnt how to be scientific about our activities, research emerging hot topics and disseminate our findings for maximum reach and impact. "Few people back in Sri Lanka had heard of Bath, let alone the University of Bath. But tobacco prevention campaigners do know about its Tobacco Control Research Group. For me I always wanted to come to the fountain of my inspiration in tobacco industry research and monitoring and the week in Bath was hugely valuable as we take this work forward." To find out more about the Tobacco Control Research Group see http://www.bath.ac.uk/health/research/tobacco-control/. To access Tobacco Tactics see http://www.tobaccotactics.org/index.php?title=Main_Page.